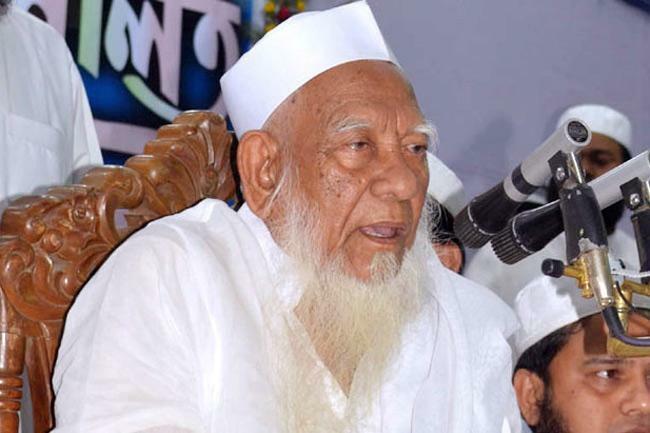 Dhaka (AsiaNews) – A well-known radical Muslim cleric said that girls and women should not be allowed to go to school, causing quite a stir in the country. Shah Ahmed Shafi told a gathering of 15,000 people that "girls should not be allowed to study after the fourth or fifth grade because if you allow them to attend undergraduate or graduate studies, they will not remain yours." Criticised for his words, the 95-year-old leader said his words had been misquoted and that he meant to say that "women can go to school if they wear the burka", the full-body dress that leaves only eyes uncovered. Catholic activists and women activists have reacted negatively to the cleric’s words. Among Muslim women, views are divided, with some agreeing with the cleric’s opinion on women's education. Shah Ahmed Shafi is the head of the radical Hifazat-e-Islam group and runs the Al-Jamiatul Ahlia Darul Ulum Moinul Islam madrassa in Hathazari, Chattogram (Chittagong). He is a very well-known cleric, with millions of followers across the country. All those who attended the gathering where he made his controversial statement pledged to follow his teaching. Sheepa Hafiza, executive director of Ain or Salish Kendra, wants instead the cleric to apology. Aysha Khanam, president of Mohila Porishad, a women’s rights NGO, noted that "In the past, the religious leader made obscene statements. He would like to take us back 100 years. Women instead are playing a leading role in the country’s development." For Sumi Gomes, a Catholic, "It hurts to see that he does not want women to develop." Eva Rahaman, a Muslim, a student at the Shanto-Marian University of Creative Technology, does not share such views. "I feel safe when I wear a veil on campus. The wearer of the burka is not the victim of harassment." Even Sangita Akter, a housewife, agrees with the Islamic leader. "Who does not wear the burka does not respect the Qurʾān". However, Aysha Akter, an activist in an NGO, said: "Ahmed Shafi tries to prevent the development of women in this country. He wants women to stay at home, but if they worked like men, our country would grow twice as much."